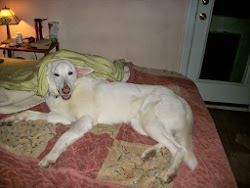 Peaceful dog: And Me! Cheep! And Me! 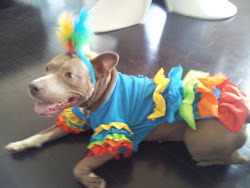 And on the last day of RESCUE ME HOME week, in honor of Mayziegal, Brudder Ranger, and Grampa J who we're certain love all animals and want to see them all in good homes, we are doing a post about our feathered friends in need of rescue. 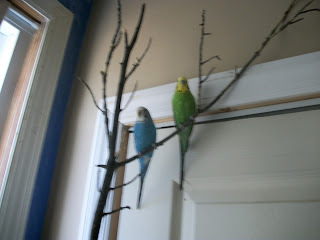 You may know that we are fortunate enough to share our home with two very lovable budgies, Ingamar and Flower. Flower was a Valentine's Day gift two and a half years ago from Florian. And the moment I saw her alone in her cage, I knew she needed a sweetie too so we went right back out and got her Ingamar. Ingamar and Flower bring us so much joy. They don't get into fights, don't chew the furniture, don't require walks, they just sing. They eat cauliflower and strawberries and nice twigs I find for them, and they sing. Pretty songs all day, especially if we play music or watch a movie or a dance video or run the blender or a hair dryer. 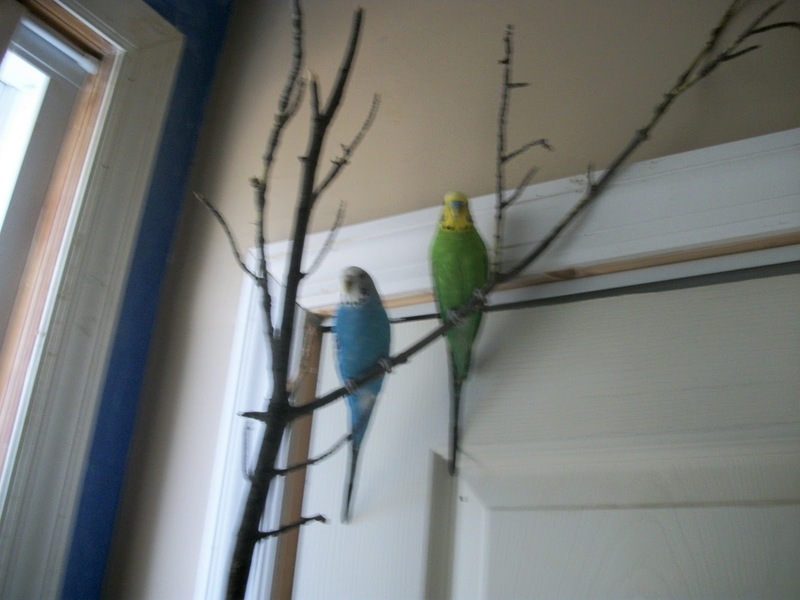 Ingamar, the green one, will sit on my finger and hang out for a while, while Flower's more shy. That's often true of budgies, that the boys are more social. Ingamar and Flower didn't come from a rescue, but today's fun fact is that you CAN adopt a bird from rescue, or even from your local shelter! Shelters often have doves, parakeets, cockatiels, even chickens! Just one excellent example is Ricky. 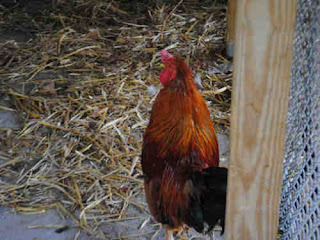 Ricky is one handsome rooster, and he can be adopted from Montgomery County Humane Society. 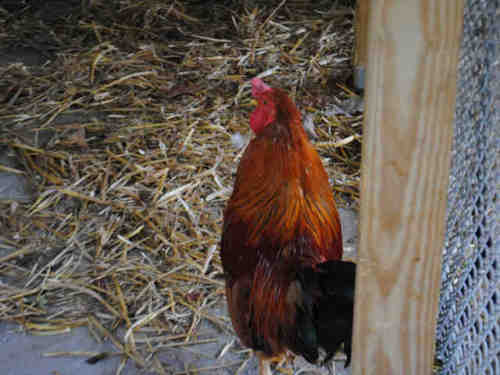 I am an unaltered male, red and black Chicken. 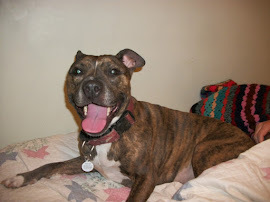 I have been at the shelter since Oct 07, 2011. His description implies that roosters can, in fact, be altered--but I'm betting that's not true. Roosters make all-natural alarm clocks and their poo helps fertilize your yard. Chickens, too, make fabulous pets--they are surprisingly cuddly and personable! In the market for another sort of feathered friend? 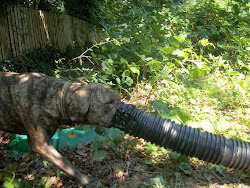 Why not check out a rescue group like Phoenix Landing? Many people buy a parrot without fully understanding the needs of this intelligent animal for social interaction, enrichment, and attention. Multiply these needs by the extremely long lifespan of many parrots, and this pet can quickly become more than most former parrot fans bargained for. 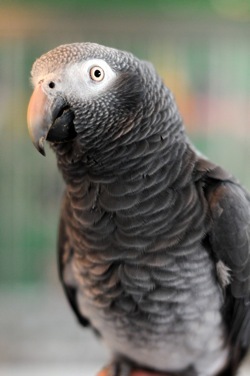 Groups like Phoenix Landing have arisen to provide sanctuary for parrots who outlive their owners or whose owners realize they took on more than they could handle. Some have facilities where birds find temporary refuge, and others rely exclusively on foster homes. It is reasonable to wonder whether a flighted creature that still exists and thrives in its natural habitat should be confined to a cage to suit human fancy. While many domesticated birds, like Ingamar and Flower, were born and raised in captivity, the exotic pet trade flourishes in part thanks to the illegal capture of animals in the wild, and of course we do exotic animals no favors by supporting the industry that exploits them. For those who are already domesticated though, we owe it to them to give them the best lives possible. 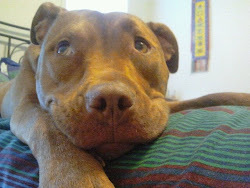 Fostering or adopting from a rescue group is an excellent way to give back to the beautiful creatures that decorate our world with color and fill it with song. I've never come across a bird rescue near us, which is probably a good thing! lol I had some parakeets as a kid, and we had a lovely cockatiel when we first got married, that I sadly knew too little about. 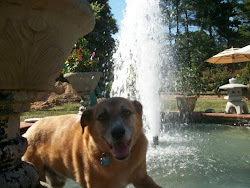 I miss having them around, but I am pretty sure that we wouldn't be the ideal home for one now. Wow! A rooster! How super awesome that you featured Ricky. I bets not many peoples would think about roosters needing to be rescued, too. My paws are crossed that he gets a Most Terrific furever home! My gramma had an African Grey parrot for a long time but she finally had to gives it to a rescue cuz of those reasons you talked about. Parrots are super cool but they sure aren't for everybuddy cuz they are SO smart and they need lots of attention or they can go kinda cuckoo. 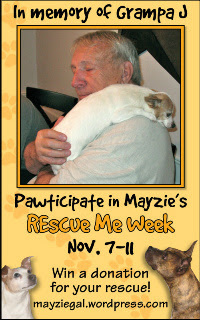 Thanks for reminding everybuddy what great pets they can be and how they need a super special pawson to live with. I have always, always wanted a parrot, but I know I wouldn't take proper care of it and owning one would probably be a criminal act on my part. A pet rooster? Can we name him Foghorn Leghorn?